Gerard Butler walks the red carpet while attending a screening of the new Netflix movie The Angel on Thursday (September 13) at the TCL Chinese Theatres in Hollywood. The 48-year-old actor was at the event to support his friend Ariel Vromen, who directed the new movie. The stars of the film, Toby Kebbell, Hannah Ware, Guy Adler, and Marwan Kenzari, all walked the red carpet together. Also there to support the film was Zach Braff. 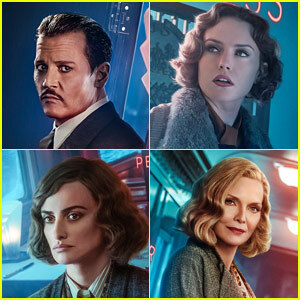 'Murder on the Orient Express' Posters Paint Everyone as a Suspect! Murder on the Orient Express is coming to theaters soon, and a whole new batch of character posters were released. 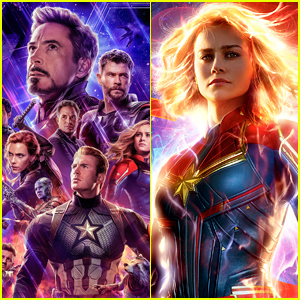 The cast is made up of so many great actors and actresses including Kenneth Branagh, Penélope Cruz, Willem Dafoe, Judi Dench, Johnny Depp, Josh Gad, Derek Jacobi, Leslie Odom Jr., Michelle Pfeiffer, Daisy Ridley, Marwan Kenzari, Olivia Colman, Lucy Boynton, Manuel Garcia-Rulfo, Sergei Polunin, Tom Bateman, and more. Here’s a synopsis of the movie: What starts out as a lavish train ride through Europe quickly unfolds into one of the most stylish, suspenseful and thrilling mysteries ever told. From the novel by best-selling author Agatha Christie, “Murder on the Orient Express” tells the tale of thirteen strangers stranded on a train, where everyone’s a suspect. One man must race against time to solve the puzzle before the murderer strikes again. 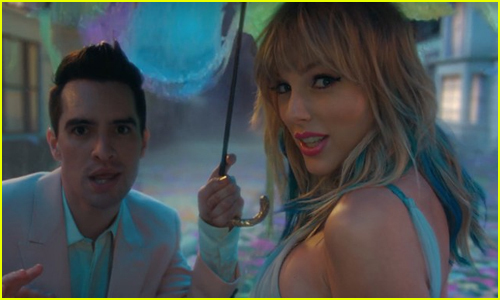 The movie hits theaters on November 10! 'Murder on the Orient Express' Trailer Teases a Star-Studded Mystery - Watch Now! The new trailer for Murder on the Orient Express has arrived! Murder on the Orient Express tells the tale of thirteen strangers stranded on a train, where everyone’s a suspect. One man must race against time to solve the puzzle before the murderer strikes again. The film features an all-star cast including Johnny Depp, Penelope Cruz, Daisy Ridley, Michelle Pfeiffer, Willem Dafoe, Josh Gad, Tom Bateman, Judi Dench, Derek Jacobi, Leslie Odom Jr., Marwan Kenzari, Olivia Colman, Lucy Boynton, Manuel Garcia-Rulfo, Sergei Polunin, Derek Jacobi, and director/star Kenneth Branagh. Be sure to check out the movie, in theaters on November 10, 2017! 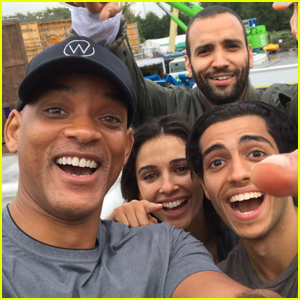 Will Smith & Mena Massoud Share First Photo of 'Aladdin' Cast! Will Smith is giving a first look at the cast of Aladdin on the movie’s set! The 48-year-old actor and the rest of the cast – Mena Massoud, Naomi Scott and Marwan Kenzari – all stopped to pose for a pic in honor of production kicking off! “We just started shooting Aladdin and I wanted to intro you guys to our new family…Mena Massoud/Aladdin, Naomi Scott/Princess Jasmine, Marwan Kenzari/Jafar, and I’m over here gettin my Genie on. Here we go!” Will wrote on his Facebook page. It looks like the cast has totally hit it off! 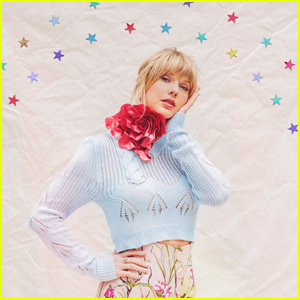 We can’t wait to see the film come together! 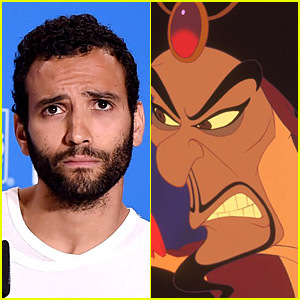 Marwan Kenzari Joins 'Aladdin' Live-Action Movie as Jafar! The role of Jafar in the upcoming live-action remake of Aladdin is set to be played by newcomer Marwan Kenzari, according to THR. The 34-year-old Dutch-Tunisian actor is a relative newcomer who has had roles in the recent movies The Mummy, The Promise, and Ben-Hur. His breakout role is expected to be in the upcoming Murder on the Orient Express. Will Smith is confirmed to play the Genie while newcomer Mena Massoud is playing the title role and Power Rangers‘ Naomi Scott will be Jasmine. Oscar Isaac poses with the cast and crew of their film The Promise while attending a press conference at TIFF Bell Lightbox during the 2016 Toronto International Film Festival on Monday (September 12) in Toronto, Canada. 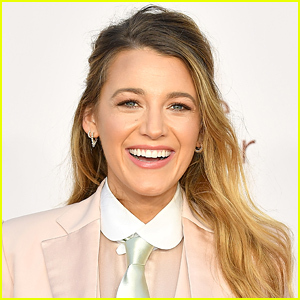 The 37-year-old actor was also joined by his co-stars Angela Sarafyan, Charlotte Le Bon, Shohreh Aghdashloo, and Marwan Kenzari, as well as director Terry George and producer Eric Esrailian. The day before, the group – plus Christian Bale – premiered the movie at TIFF. Oscar, Angela, Shohreh, and Marwan also stopped by the Variety TIFF Studio presented by Airbnb and snapped some pictures. In case you missed it, check out the trailer for the upcoming historical drama here!